Aheloy is a charming little resort on the Bulgarian Black Sea coast, situated between the well known UNESCO world Heritage site of Nessebar to the north and Pomorie to the south. Through the town flows the river with the same name. Aheloy was founded by the Romans, influenced by the Greeks and is nowadays considered a fully-fledged town. Aheloy has few hotels, so existing properties are spread among the lush greenery or are situated in the suburbs along the sea. The resort is a popular highlight for tourists for its picturesque fruit gardens and vine yards. Aheloy is a unique mixture of preserved greenery, turquoise crystal clear sea and a continuous fine sandy beach. It is particularly pleasant to have fun in the sun and explore the area as the sea breeze turns the summer holiday into an enjoyable experience. Aheloy is a great choice for people who adore a tranquil gateway to the seashore. Against its warm and wild shores, great waves will crash and roil, revealing great swathes of silky soft beaches and spectacular natural beauty. Welcome to Bourgas, the largest province of Bulgaria, and one of the most attractive destinations for tourists. We're sure you will love what you see. Named after the city that resides near its centre, Bourgas is found in the south-east corner of the country, with the Bulgarian Southern Black Sea on one side and Turkey on the other. At a glance, it has something to suit everyone - plenty of history to catalogue, restorative mud baths to enjoy, sporting opportunities, and stunning beaches where you can work on your tan. So what are you waiting for? Get out there and explore Burgas today. Read on to discover where you should begin. Bulgaria is a late bloomer when it comes to tourism, with people only recognising its potential in the late 90s. Since then, however, the audience has arrived, and the infrastructure to support them has been developed surprisingly quickly. Resorts such as Sunny Beach, Obzor and St Vlas are within easy access of Bourgas Airport and Bourgas city. It is possible you will be able to hop on a bus straight after landing. If not, however, it is only a short ride to the centre of town, where transportation will almost certainly be provided no matter where your destination is. Bulgaria is well known for being something of a shopper's paradise, boasting more than its fair share of extravagant shopping malls and sweeping high streets. Resort towns such as Sunny Beach aren't just gorgeous stretches of coastline for people to sun themselves on - they actually have huge town centres that sport an abundance of big-name brands and little boutiques. So don't feel as though you have to venture into Bourgas to get your fashion fix. If you do go as far as Bourgas city, however, it's pretty much compulsory to visit Mall Galleria Burgas. This is where international fashion giants such as H&M, Zara, Terranova, Humanic, Deichmann and Technomarket have a presence. You'll find no end of shops to explore. It's also worth checking out the covered market where the locals like to buy their fresh fruit and vegetables. For quality and price, you just can't beat it, and it's also an authentic slice of daily life here in Bulgaria. Eating and drinking in Bulgaria is always an incredible experience. To start with, you'll certainly want to try a salad - the local cuisine always incorporates these fresh and green dishes into a meal as an appetizer. But if that sounds a little boring, it's worth remembering that there is a vast array of tasty dishes on offer here. Breadstuffs, stews, cooked meats and stuffed vegetables - all achieved in ways you'll never have seen before. Skara, or grilled meat, is a particularly popular dish that has received plenty of influence from Turkey, so don't shy away from getting a kaufte meatball meal or even a kebab while you're in Bourgas. If you're lucky enough to be down by the coast in Sunny Beach or Obzor, grilled fish is most definitely the order of the day. Also, you'll never forgive yourself if you don't try meat cooked on a cheverme grill. Fresh and succulent, it slides off the stick after six hours of roasting. It would be rude not to, no? Where drinks are concerned, oenophiles will have their work cut out sampling excellent vintages from the Danubian Plain, the Black Sea, Rose Valley and the Thracian Lowland. All of these are well-known and very much respected on the local wine scene. But not everyone is into their wine, so if you're looking for an alternative, rakia is certainly the must-try alcoholic drink. Consumed throughout eastern Europe in one form or another, this fruit-based liquor provides an exceptionally tasty accompaniment to a meal. We often talk about Bulgaria's spectacular beaches. But these stunning swathes of sand really are what makes Bourgas tick. Isn't it enough that one of the resort towns is simply called Sunny Beach? Where the land meets the sea, you'll find plenty of things to do, ranging from kitesurfing and sailing to snorkelling and diving. The afternoon's itinerary might include an hour on a jetski, pounding across the waves with more speed than Evel Knievel, or you might be intent on getting a few hours of sun-worshipping in with a good book. If either of these sounds unappealing, have you considered getting some culture in at the Archaeological Museum or the Natural History Museum? Both are great options if you fancy diving back into the past. Bourgas is synonymous with 'partying', and nightlife is definitely spelt with a capital 'N' out here. No one bothers keeping time in the clubs and bars, with the celebratory atmosphere going on into the early hours every day, particularly at Sunny Beach. Modern restaurants, bars and clubs provide the backdrop for most parties here. Also, don't underestimate Nessebar. Its historic old town seems sedate during the day, but this bubbling beach resort really comes alive at midnight. 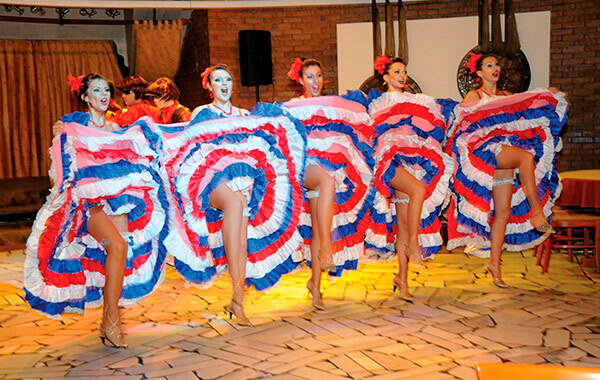 This unmissable evening in the resort is filled with live music, international artists and a delicious four course meal that will keep you entertained throughout the night. 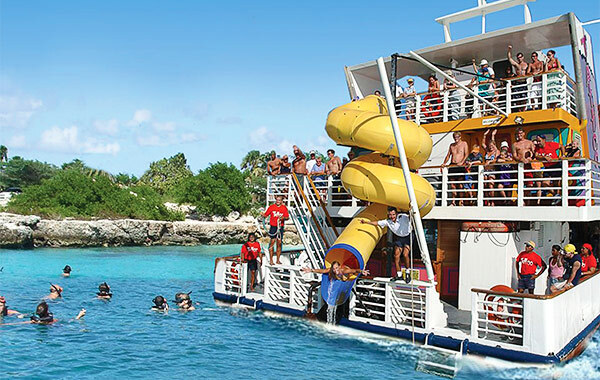 When the Sun is out... enjoy snorkelling adventures and the adrenaline-kicking swing! The bars are open and we guarantee the most fun day of your summer. 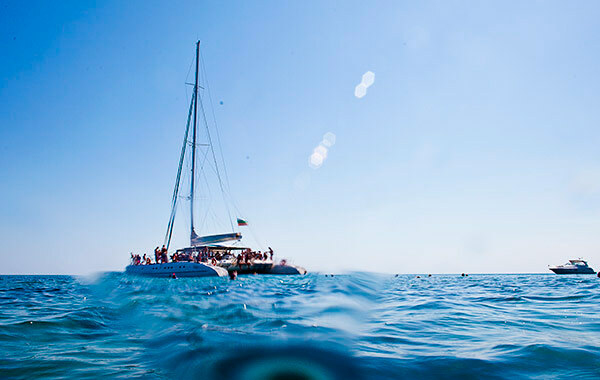 Sail on board a luxury Catamaran. Enjoy lunch and sip on drinks from the open bar. A millionaire&apos;s delight! 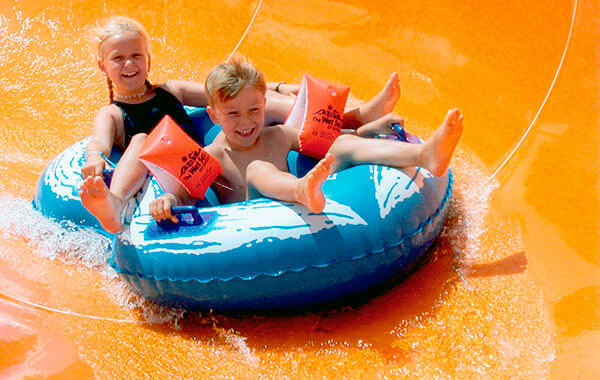 Don't miss the chance for a fun filled family day out with lots of slides and flumes, crazy and lazy rivers, pools and much more sure to give the kids a day to remember.